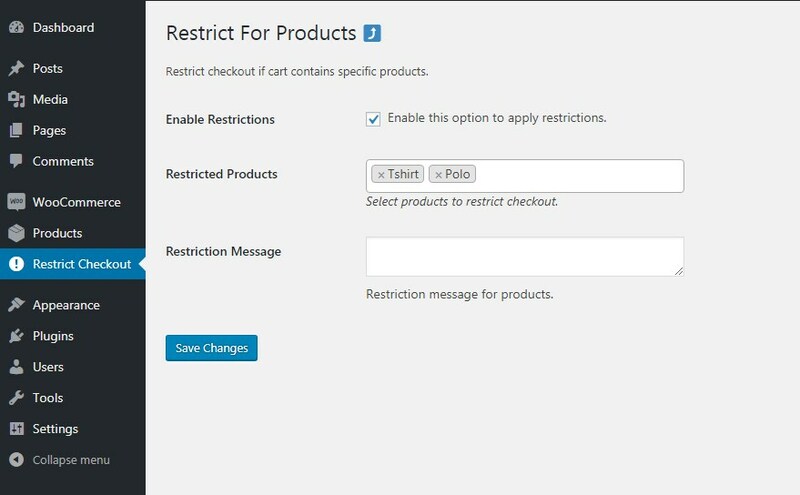 WooCommerce Restrict Checkout Plugin allows store owners to enable restrictions on checkout by multiple conditions like cart price, cart items quantity, limit checkout by products or limit checkout for specific customer & roles. The customers will be able to purchase items until the checkout limitations are met up. The plugin will be helpful to limit specific customer & roles, specific products, the limit for quantity & price. 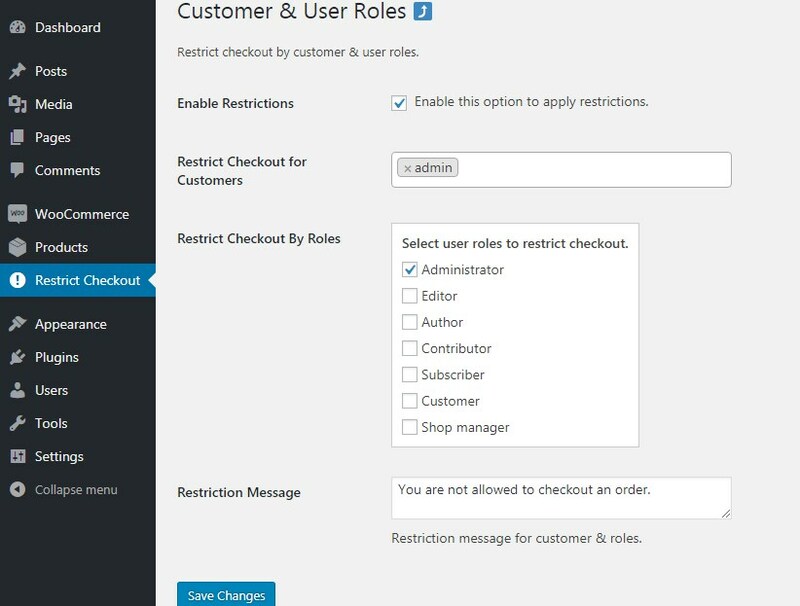 Restrict checkout for specific customer & Roles. 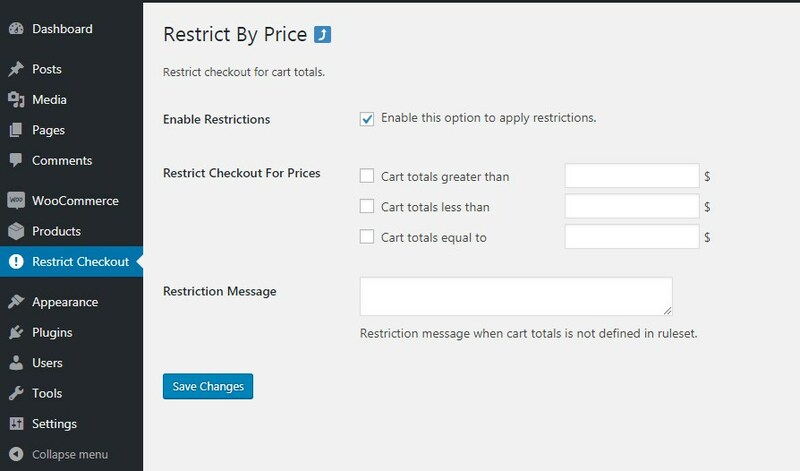 Restrict checkout for specific products in the cart. 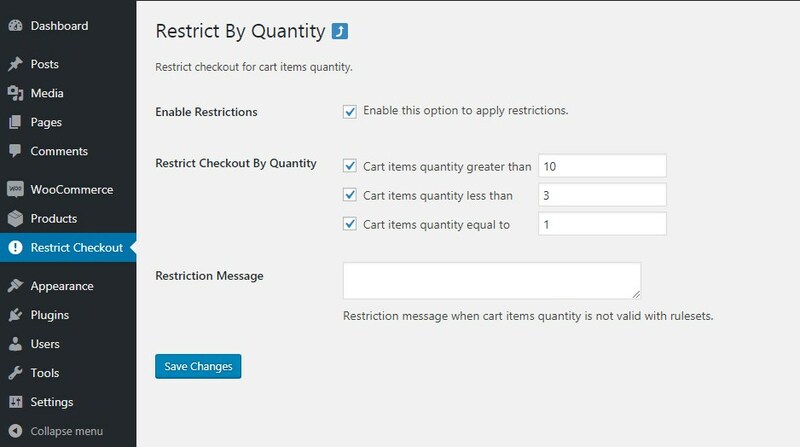 Restrict checkout for cart items quantity. Restrict checkout for cart totals amount. Show custom error messages for restrictions on cart page.